Time has seriously slipped away today, so I'll have to keep it short. 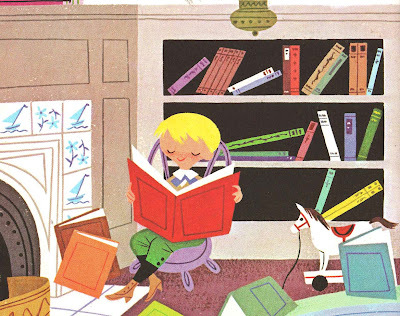 On that note, I wanted to quickly mention the awesome site Flashlight Worthy Books (the book lists there are always insightful and fun), and though you longtime readers have heard most of it before, head on over for a list of ten out-of-print children's books I think are worth overpaying for. Next, I'm gonna keep it small and sweet in honor of today's book. Really, who doesn't love tiny books? Rand McNally Elf Books. Golden Nature Guides. And of course, Whitman's Tell-A-Tale Books. In the later group, this little ditty happens to be a 60s stand out. I love any version of the verses, but here, the sentiment is especially sweet and pocketsized. And in another garden play. Love, love, love these poems in any incarnation. The best of the best of the best. 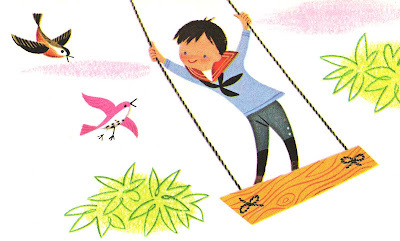 The illustrations are especially charming. Also a plus for me! This looks like a sweet book, and I enjoyed reading your list of great out-of-print books on the Flashlight website, too. Thanks! prb... so sweet... my husband relieved me the other day when he said once the boy gets too old for his books, i can keep them all in the attic until he wants them for a child of his own.... thank goodness. though i will get rid of some of them just to make sure the ceiling doesn't cave in. Curses! 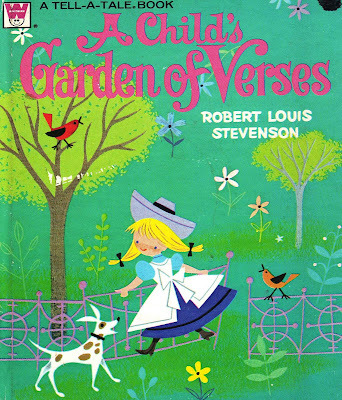 I think I had this book as a child, or at least read it or was read from it. But have no idea where it went. Probably in a donation pile to a lucky second hand store back in the day. (sigh) Lovely lovely book. We have the Tasha Tudor illustrated version of these poems and we love it! Can't get enough of her! Also regarding collections of kids books - I say my kids books won't be going anywhere until they pry them from my cold dead hands! Ha! Seriously, I plan on keeping them for my theoretical grand kids and enjoying them myself in the meantime! Thanks for posting this. 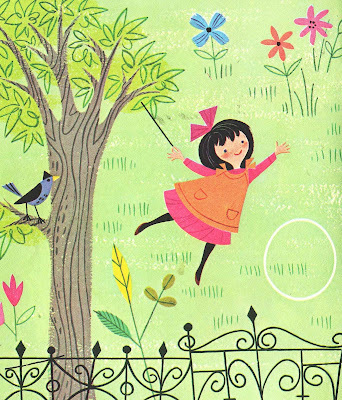 I love Ruth Ruhman's illustrations!